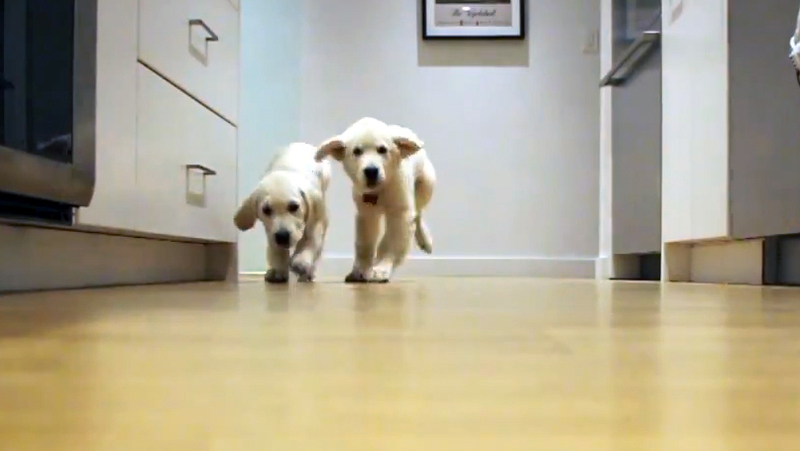 Golden retriever pups age before your eyes, on The Feed! Some of the latest and greatest viral videos include a time-lapse of the "Cheese Pups" growing up and a simple question about going 80 mph that seriously stumps someone. In this video, Colby and Bleu, two golden retrievers known as the Cheese Pups, age from 11 weeks old to 11 months old in the span of a-minute-and-a-half. If anyone doubts that the education system in America could use a little help, just show them this video. Jaymie McGill gives her friend Stephanie this seemingly simple quiz: "If you're going 80 mph, how long does it take to travel 80 miles?" But, Stephanie does not get it. Want more of The Feed? Check out this playlist of every Feed ever! Nick Dietz is an associate producer, on-camera personality and reporter for CBSNews.com. And, host of the viral video wrap up show "The Feed."